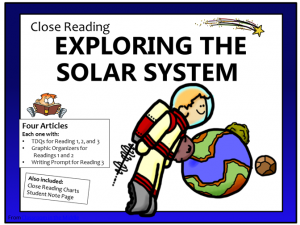 Today I’m continuing the theme that I started talking about in my recent guest post on Education to the Core – using pictures to teach kids about close reading. 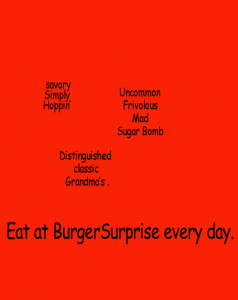 In that post, I compared a piece of text to a picture created in Photoshop layer by layer. You can see that post with the illustrations here. 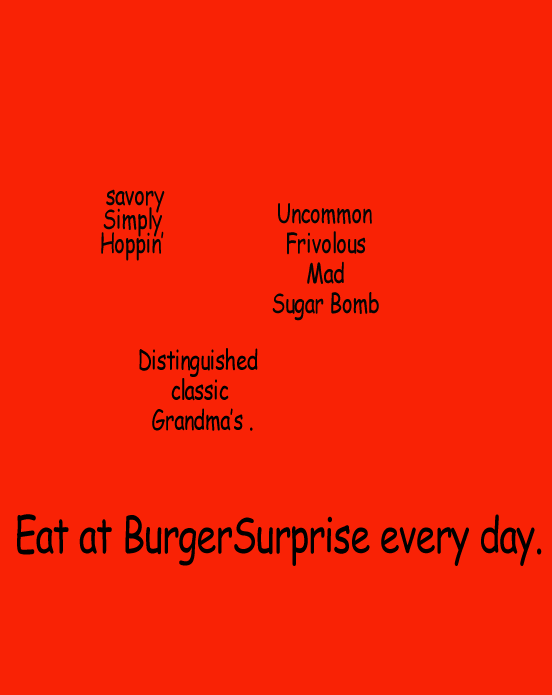 This time, I’m looking at a simple advertisement which can also be used as an effective illustration of the layers of meaning in a picture or text. On the first reading, concentrate on the main idea and the details. On the second reading, focus on the organization of the text and understanding the vocabulary. On the third reading, address the theme and the author’s craft. 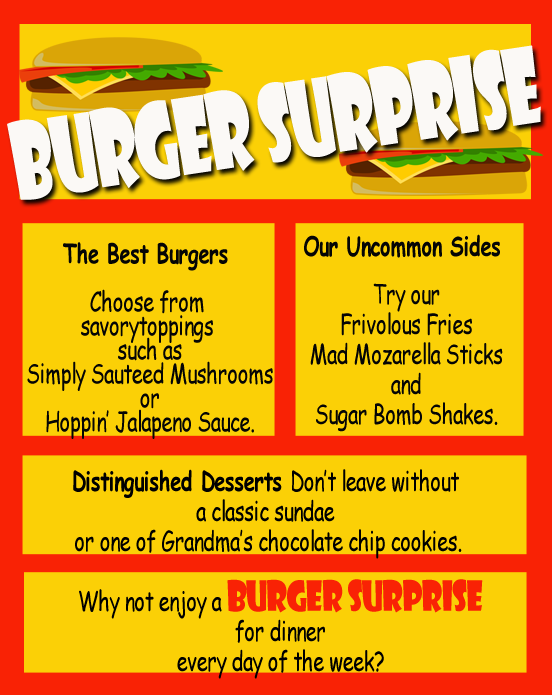 Take a look at this advertisement for a hamburger restaurant. Can you see the three layers here, too? 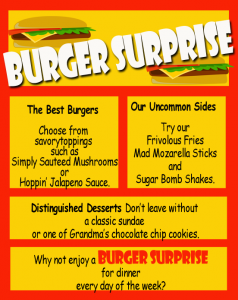 Here is what students might note on a first “reading.” The restaurant is called Burger Surprise and it offers burgers, sides, and desserts. 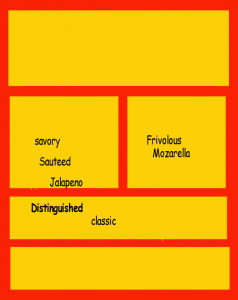 On a second “reading,” they might notice that the illustrator used a grid of bright yellow boxes to organize the advertisement. 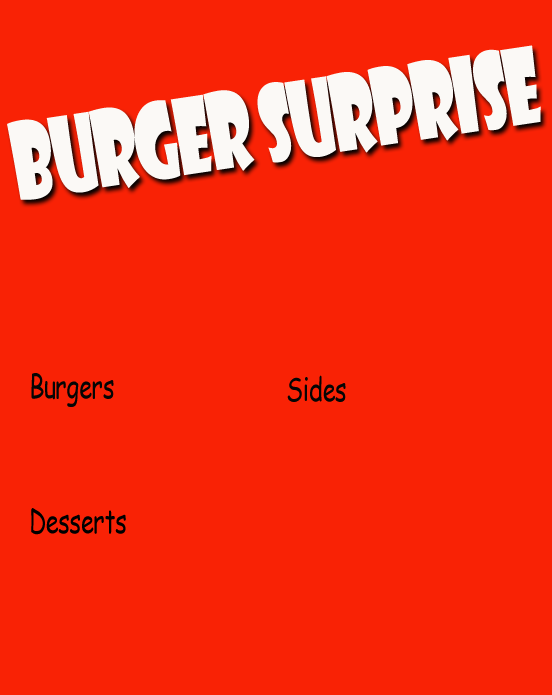 With a text passage, you would look at the text structure here – sequential order, cause and effect, or whatever. 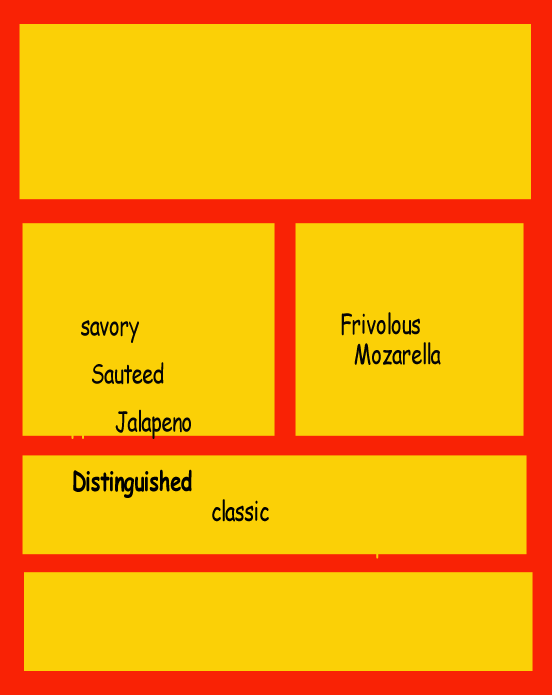 This is also a logical time to make sure that the students understand the vocabulary (savory, Jalapeno, distinguished). 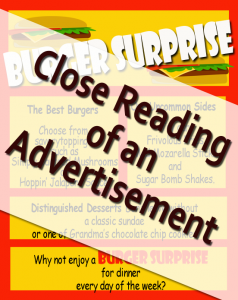 Using a picture or an advertisement is one way to introduce close reading that should get the kids’ interested! It’s a good way to start or refocus on close reading, which can be a difficult process for kids to use effectively. 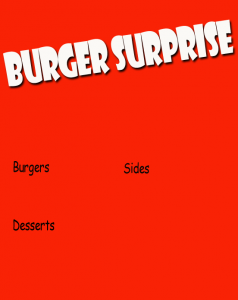 For another option, check out this ready-to-use FREEBIE. 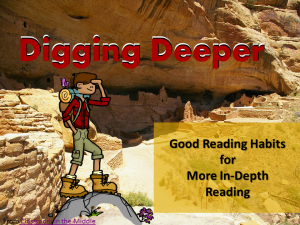 It’s a short Powerpoint presentation which compares close reading to digging for artifacts. 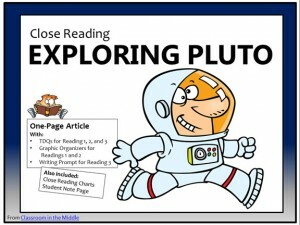 If you are looking for some close reading lessons, check out these resources from my Teachers Pay Teachers store. 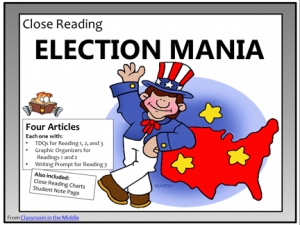 Each one includes everything needed for a full three readings including an original reading passage and student printables.